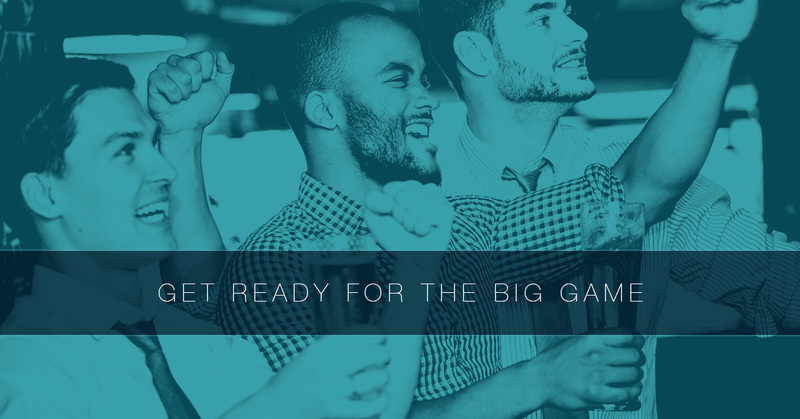 With the Big Game just weeks away, you might already be planning a watch party. But it doesn’t have to just include food, drinks and watching the game. Below you’ll find a number of possibilities that are sure to turn your party into one that everyone will remember. Get outside for a game of football – It can be alarming to see how many calories the average American will consume during the four hours of game action. Why not get your group outside before kickoff or during halftime for some pigskin of your own? Commercial bingo – It doesn’t take a whole lot of time to research which companies will be featured in commercials. Explore online for some inspiration and get creative as you come up with your party’s own commercial. This will be a huge party hit for those that aren’t necessarily the most fanatical of football fans. Football trivia – Tap into your group’s football knowledge with a little trivia. You can include the teams or also bring in the entire league. For the die-hards, it might even be fun to pick teams and put a friendly wager on the trivia. Encourage a potluck – In terms of food, the best way to go might be a potluck. Have everyone bring their favorite dish so you’re able to enjoy the day more and not worry about prepping all the gameday grub. Play football squares – This is by far the most popular day of the year to play squares. If you’ve never played, check out this website for help getting started. Indoor football toss – Depending on the weather, it may not be reasonable to get your kids outside for a football game. Instead, let them throw a foam football around (obviously in a spot away from fragile items). Flick football – Kids have a blast making footballs out of paper and then playing their own game with them. Word searches, coloring pages, word jumbles and more – There are countless activities for children online to commemorate the Big Game. Chances are that many of them will feature the two teams. Facepaint – Stop by your local party store to see the selection of face paint that could be used for the game. Let them help with dessert – Your kids will love to help you make dessert for the party, whether you choose brownies, cupcakes or something else. If you choose to host this year’s watch party, you want to be sure that you have the best home theater setup for guests. Here at Texas Info Media, we offer premier, fully customized home theater systems. Our team also offers audio and video, automation, digital signage, structured cabling, as well as commercial applications. To give you an idea of our extreme customization capabilities, consider the fact that we have a certified climber on staff for projects that require going up on a tower. So whether you’re looking to make a serious statement at your next watch party or want to completely transform the look of your business, contact us today.